The prime minister’s press secretary Chang Li Lin and state-controlled media lied about what my lawyer and I said at the pre-trial conference today. I went to court today. The prime minister wanted the judge to ask me to pay for his legal fees for his lawyers. At the hearing in the morning, the judge asked me to pay $20,000 and an additional $9,000 in filing fees. This is different from the actual damages that I would have to pay the prime minister himself. The prime minister has applied to ask me to pay at least $250,000 to him. Today, the pre-trial conference was also held to decide on when the dates for the hearing on the damages will be. However, Prime Minister Lee Hsien Loong’s press secretary Chang Li Lin lied about what my lawyer and I said. The state-controlled media also lied by carrying her statement. 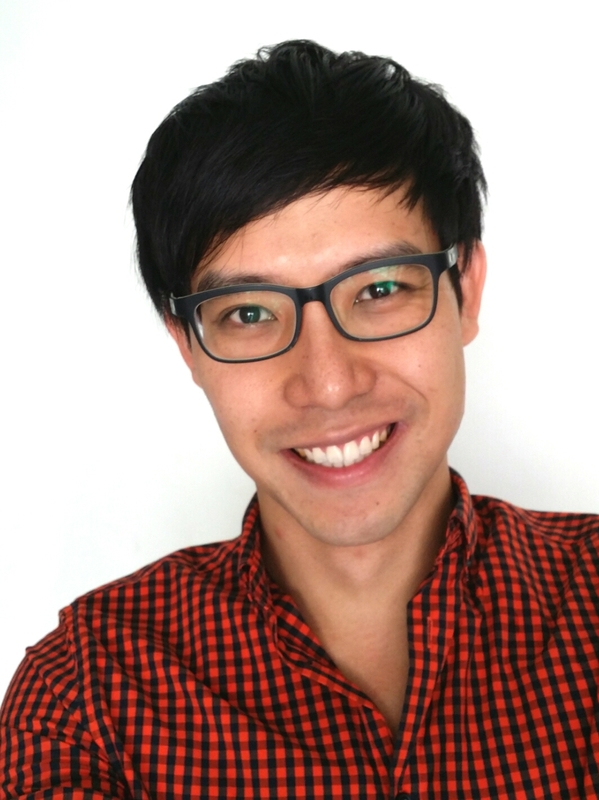 “Mr Ngerng’s lawyer indicated at the hearing that Mr Ngerng did not want to be cross-examined,” Ms Chang said. “The judge directed his lawyer to confirm whether he would be giving evidence by 30 January 2015. “PM Lee stands ready to be cross-examined, a position he has earlier communicated to the Court,” state-controlled media also reported. Ms Chang and the state-controlled media lied. I have never said that I do not want to be cross-examined. In fact, I have told my lawyer that I am ready to be cross-examined and to also cross-examine the prime minister. Not only that, Ms Chang also changed her initial statement. Why did Ms Chang initially said that the prime minister was ready to be cross-examined “right from the beginning” to “a position he has earlier communicated to the Court”? So, he did not actually agree to be cross-examined “right from the beginning”? Moreover, why did Ms Chang and the state-controlled media put words into my mouth? In fact, I have told the media who attended today’s hearing and pre-trial conference that I am ready to be cross-examined. The Straits Times, Today and Zaobao were there today. So were freer and more respectable media AFP and The Online Citizen. The state-controlled media were there today but why did they carry an inaccurate statement by the prime minister’s secretary? This is not the first time that the state-controlled media has put words into my mouth and attempted to put me in a bad light. However, I have never said the phrased, “full-blown trial”. Why did the state-controlled media want to paint me in a bad light? Moreover, why is the prime minister’s press secretary sending out a statement for the prime minister when the prime minister has taken out the defamation suit against me on his personal basis? Why is he using state resources to speak on his behalf? Does the prime minister not have his own mouth or his own hand? Must he always get someone else to do his dirty work? All this time, the prime minister has the bravado to sue me but he has never had the guts to face me directly in court. And now, he does not even have the balls to speak out on his own and is using state resources to speak up for him instead. But this is not the first time that the prime minister’s press secretary is doing this. Last year, when The Economist wrote an article about me, Ms Chang also wrote to rebut The Economist on 19 June. “You referred to an “alleged ‘serious libel’” by Roy Ngerng,” Ms Chang said, referring to The Economist. “This is not an allegation. 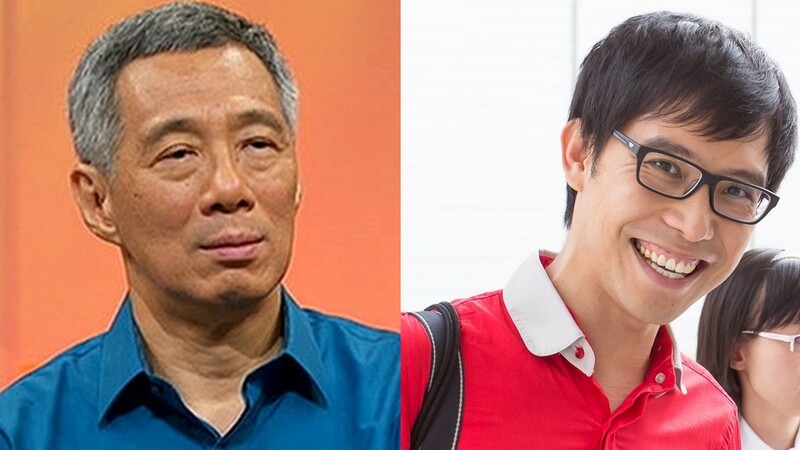 Mr Ngerng has publicly admitted accusing Lee Hsien Loong, the prime minister, of criminal misappropriation of pension funds, falsely and completely without foundation,” she added. Not only that, the government has also constantly used state resources to speak up for the prime minister. However, when the government was called out for using state resources to speak up for the prime minister, the Prime Minister’s Office said,” When aspersions are cast on the integrity of the Prime Minister and his Government’s policies, an official reply from the PM’s press secretary is completely in order. This is no different from what press secretaries in most other Governments do. However, when the prime minister’s press secretary would now carry a statement solely on the defamation hearing today, is his press secretary replying because of the “integrity of the Prime Minister and his Government’s policies”? Second, is the press secretary “defend(ing) Singapore’s interests by correcting misrepresentations and providing a balanced view”? Ms Chang lied. The prime minister’s press secretary lied. She did not even provide a” balanced” view. The state-controlled media also did not provide a “balanced” view. In addition, when I submitted my affidavit last year for the summary judgment, none of the state-controlled media wanted to report my affidavit but they would report on both the prime minister’s affidavit. When I emailed them to ask to know why, none of them had the guts to respond to me. I am appalled that the prime minister’s press secretary and state-controlled media would lie just to malign me. They are also not “balanced” and have misrepresented the truth. Also, it is very clear now that the prime minister is using state resources for his own personal uses. The press secretary has released a statement solely on the defamation suit, solely for the prime minister’s personal agenda. It is disgusting how the government would stoop so low to hurt me. Roy, have more control over your temper and your feelings. I dun say you’re wrong, but time and again it has been proven that those who are slow and steady… wins the race. Be patient, for the truth will be revealed soon, bec most of us are expecting that. You bad mouth the rulers, they bad mouth you ….fair game in the name of Sin politics. Understand….if you have had enough…you want change…but when you look up….you see tua pek kong…version 101…..and you wonder why you are constantly hit by a pot….then you look up again…you see tua pek kong….version 102…and got potted …..
Roy Ngerng – you collect so much money from public to fight the case – can you tell us what happen to the money?? There is rumour that Ravi spend all the money. It is true? Have you ask Ravi ? Yes, because Roy is trustworthy as he swear to fulfill all his promises such as being transparent and accountable for the donations, is a sensible fella who eat plain rice at cafe because he couldn’t afford the other food there and he had never heard of home cook food or coffee shop and nobody volunteered to treat him to a meal, knows how to manage his finances as he still managed to have $5000 in his savings after traveling to Norway for a holiday on a whim. Who advocated the rule of law? Through the law it facilated covetiousness…then the law dictates…you shall not covet…hello…you idiot or what? What is the DIFFERENCE BETWEEN BEING CORUPTED AND A LIAR. ……. lan pah pah lan. Roy, when your lawyer said that he need to take instruction from you, it means that you have not told him previously you want to be a witness. If you intend to be a witness right from the start, why did he need to take instruction from you? So it means either you don’t want to or you have not make up your mind. So before you actually indicate to the court, not to the public… it means that to the court.and to the other party.. you will be either be a witness, or you will not be witness. Obviously, they interpret you don’t want to because if you maintain you always want to be a witness from the start, the Ravi will just said YES, and not to take instruction from you. So be a witness and let PM lawyers asked you in court to confirm and repeat what you have said in your blog. Remember you are already guilty, not innocent until proven guilty. As usual playing the sympathy card. One lie after another doesn’t get you any where. Stop lying. Are you trying to increase the amount you’ll have to pay in damages by making more false allegations? Keep living in delusion. Meanwhile, charities will benefit from your kind donations to LHL. When roy and his goons forms our govt, they will sell our assets and then beg other leaders of the developed world for donations. Just imagine, he can con donations of more than $100,000 in three months. How much will he con when he becomes our leader for 5yrs? Obviously, without any doubt, the secretary has lied. But so what? Because of you, they have to amend the CPF scheme. You caused trouble to them so now is the payback time. They will torture you before putting you on the financial noose. But again, so what? Will PM Lee, his press secretary Ms Chang Li Lin and the media sue Roy for his latest outburst? If they do not sue him eventually, does it mean Roy is speaking the truth? Because of Roy therefore the CPF scheme is changing ? Bwahahahaha!! You might as well say the rainbow appeared because God is moved to tears by him. Only a day dreamer can infer as such. Fantastic. Roy is still a nobody… until how he die(figurative) by PM. Who knows. Mortgagee sales rocket as more default on loans <<<<<< this is only the tip of the iceberg. Many are struggling financially to keep afloat as the gov manipulate the property market. Should this not be called market corruption/crime? A corruption more devasting to families and nations than petty theft or screwing a horny rabbit. Without such tempterizing options CREATED for your consumption, would the rich able to get richer and ministers…ahem….non corruptly able to pay themselves heavenly rewards? Reading the article in mothership.sg, point 1 of the rebuttal by PM’s press secretary defending her statement by saying that Roy was not there at that point in time, I fell off my chair laughing. So, was the Press Secretary there? She was not. The difference between these 2 is that while both were not there, the Press secretary is a 3rd party where else Roy is the defendant. So better to get the truth from a 3rd party? If you are stupid enough to accept this, I am not surprise that many prefers to be dogs than a thinking person. 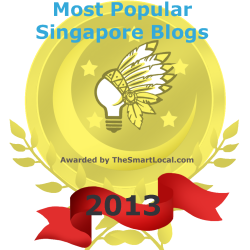 “Everything you need to know ….” according to Mothership.SG. It’s the same as the fact that Roy’s words are taken as the gospel truth by worshippers such as you. What a name! Enough said. ROFL. So says the guy call Xmen. Are you on your dark side? I hate to use the “Xavier Protocols” on you but you seem to have gone rogue. Go home! The mothership article used ommisions, guilt of ommisions, appeal to ridicule, appeal to seniority and then somemore in its argument. “The judge directed his lawyer to confirm whether he would be giving evidence by 30 January 2015.” Cut to the chase, have you or your lawyer confirmed to the judge you would be giving evidence by 30 Jan, meaning have u set a date on paper to be cross-examined? If you haven’t, this means you are not ready to be cross-examined. To prove you have no qualms about being cross-examined, please set the date. Then you can say the Press Sec lied. Pronto the logic? Ravi’s “Therefore, I won’t be filing…” was replying to the judge, not a reaction to Davinder, when the judge seeked clarifications if the affidavit filed on Oct14 to stand as aeic. Ravi had not change his position as seen when plaintiff asked if defendant be filling affidavit at the beginning.